Tata Motors has sent an invitation for an event on September 12. 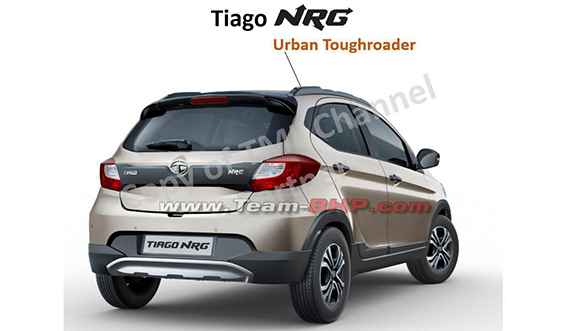 We have just learnt from our sources that the event is the launch of the Tata Tiago NRG, a crossover based on the Tata Tiago. 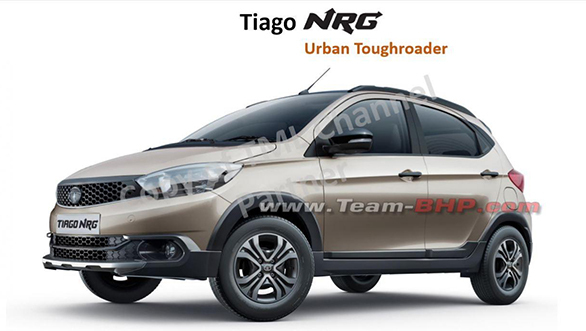 From the looks of it, the Tiago NRG is a rugged-looking crossover that intends to take on the Maruti Suzuki Celerio X. Calling it a crossover might appear to be stretching the very definition of the term, but for someone who wants an SUV-like design combined with daily practicality, something like the Tata Tiago NRG and the Maruti Suzuki Celerio X might make sense. This might have not worked with car manufacturers like Toyota and Volkswagen with the Etios Cross and the Cross Polo but if priced right combined with a distinct design, this formula does work, case in example the Hyundai i20 Active. Dimensionally, the Tiago NRG is slightly longer, wider, and taller than the standard Tiago, while the wheelbase remains the same. The ground clearance on the NRG has been increased to 180mm. The NRG receives a black body kit, that includes two-tone front bumpers as well as integrated silver scuff plates, side skirts and cladding around wheel arches as well as tailgate. The grille, roof, mirrors, and B-pillar get blacked out. There is also a small roof spoiler. The Tiago NRG also receives smoked headlamps and 4-spoke 14-inch alloy wheels. There will only be one trim level. Tata will offer the Tiago NRG with a 1.2-litre petrol or 1.0-litre diesel mated to a 5-speed manual gearbox. The Maruti Suzuki Celerio X is priced between Rs 4.76 lakh to Rs 5.61 lakh while the regular Tata Tiago is positioned between Rs 3.40 lakh to Rs 6.07 lakh. We expect the Tata Tiago NRG to be Rs 25,000 to Rs 30,000 more over the regular variants. Stay tuned to OVERDRIVE for a live coverage of the event on September 12.